Today’s Announcement by the Bank of Canada will do nothing to keep the rising prices at bay. Home Sellers in Toronto aren’t complaining about the ongoing increase in prices in the GTA according to The Globe and Mail, as a matter of fact prices are up 115 over the same time last year. The fact is its tougher for Home Buyers with homes being so much less affordable. TREB also notes that the volume of home sales have increased over last year with the GTA Condo Market continuing to demonstrate strong sales. 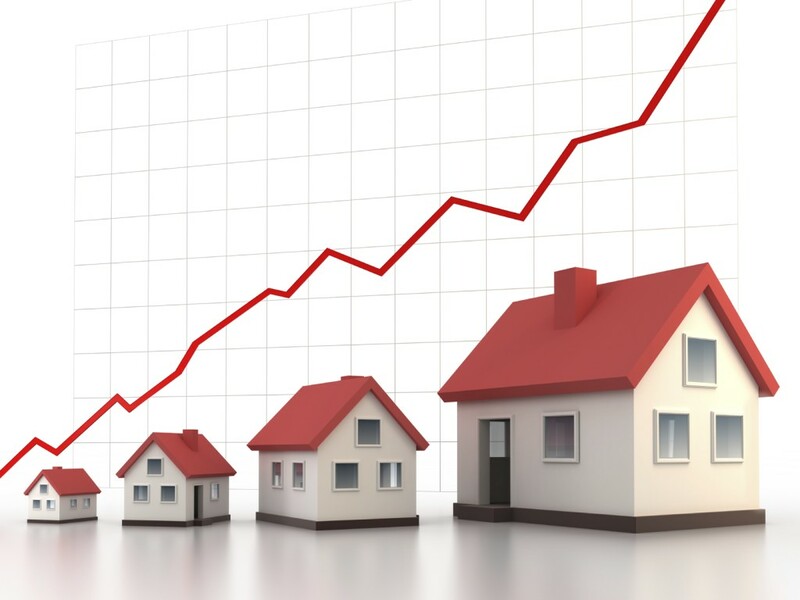 Low interest rates are likely the thing prompting buyers to take part in such a high priced marketplace. With recent reports indicating that a soft economy will cause the Bank of Canada to hold rates until well into 2015 we will have to see if the prices will continue their climb. Get a same day pre-approval, apply now. Categories: Industry News, money, Mortgage Rates, Real Estate News, Uncategorized, Your Home | Tags: condo market, Greater Toronto Area, home buyers, Home Prices in Toronto, home sellers, Interest Rates, low interest rates, Price, Toronto, Toronto Real Estate Board, TREB | Permalink. Congratulations to Rosemary Madden and Dennis Street on their Grand Opening! 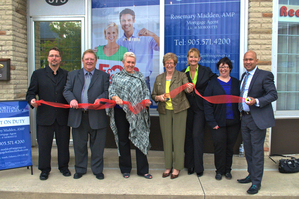 Their Mortgage Intelligence office is located on Simcoe St in Oshawa. On November 21st David Hetti and Elfie Hayes welcomed Rosemary Madden and Dennis Street, formerly of The Mortgage Center to the the largest Mortgage Intelligence office in Durham Region! Rosemary and Dennis come to the team with years of experience and knowledge. They are a most valuable asset to the team of 11 full time mortgage agents. The Oshawa Chamber of Commerce were on hand with a welcome plaque for Dennis and Rosemary. Lisa Valade, Regional Manager for Durham represented Mortgage Intelligence at the celebration. The Grand Opening and Ribbon Cutting at MI. Categories: Industry News | Tags: CIBC, Dennis Street, Gran Opening Mortgage Intelligence, Home Trust, MCAP< First National Financial, mimortgage team, mortgage intelligence, Oshawa Chamber of Commerce, PCF, Rosemary Madden, Scotia Bank, Street Capital Equity Financial, TD | Permalink. Are you Moving to Whitby? Whitby (now the Town of Whitby) was named after the seaport town of Whitby, in Yorkshire England. In addition to Whitby, Yorkshire, the Town of Whitby is also officially twinned with Longueuil Quebec and Feldkirch, Austria. When the township was originally surveyed in 1792, the surveyor, from the northern part of England, named the townships east of Toronto after towns in northeastern England: York, Scarborough, Pickering, Whitby and Darlington. The original name of “Whitby” is Danish dating from about 867 CE when the Danes invaded Britain. 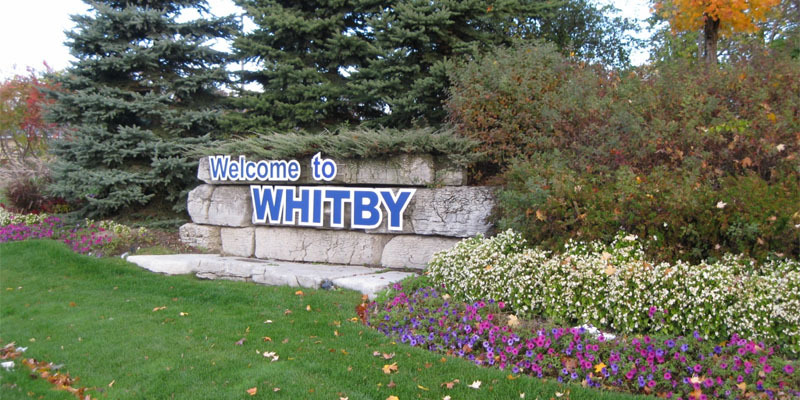 It is a contraction of “Whitteby,” meaning “White Village.” The allusion may be to the white lighthouse on the pier at Whitby, Yorkshire, and also at Whitby, Ontario.’ Although settlement dates back to 1800, it was not until 1836 that a downtown business center was established by Whitby’s founder Peter Perry. Whitby’s chief asset was its fine natural harbor on Lake Ontario, from which grain from the farmland to the north was first shipped in 1833. In the 1840s a road was built from Whitby Harbor to Lake Simcoe and Georgian Bay to bring trade and settlement through the harbor to and from the rich hinterland to the north. Whitby is also the site of Trafalgar Castle School, a private girls’ school founded in 1874. The building, constructed as an Elizabethan-style castle in 1859–62 as a private residence for the Sheriff of Ontario County, is a significant architectural landmark and Whitby’s only provincial historic site marked with a plaque. The school celebrated its 125th anniversary in 1999. Situated on the north shore of Lake Ontario, Whitby is the fastest growing municipality in the Region of Durham. This progressive community of 92,000 offers residents a lifestyle characterized by a small town atmosphere in conjunction with the amenities of a large urban center. The Town of Whitby maintains a strong and diverse industrial base that covers a wide range of industries such as plastics, packaging, automotive, pharmaceuticals, and telecommunications. As Whitby continues to grow, so has “Your MiMortgageTeam”. We are a Mortgage force of 11 full-time Licensed Mortgage Agents serving all of Durham Region and the GTA. We are known to have the experience, knowledge and manpower to help everyone who needs financing, whether it’s for a home, a business or a recreational property. We’re your one-stop office when you need a mortgage. Contact us today. Residents throughout Durham Region deserve intelligent mortgage solutions and that’s what we offer here at Mortgage Intelligence. That means we look after residential and commercial mortgages, as well as variable rates and fixed mortgage rates for refinances, second mortgages and private loans. We stand behind our name. Give us a call and let Whitby Mortgage Brokers get started looking for an intelligent mortgage solution that fits your budget and lifestyle. We’re proud to offer our clients a wide range of diverse Whitby mortgage services from residential and commercial mortgages at competitive fixed rates, to second mortgages and other types of refinancing for your home or cottage. Our team of Mortgage Brokers offers a fully automated lending environment so you can go online and fill out our secure application form anytime of the day or night when it’s convenient for you. We strive to make Mortgage Intelligence your one-stop financing solution. Need help figuring out how much of a down payment is good enough for a new home in Whitby or another location in Durham Region? We have everything you need right here including our free Mortgage Intelligence calculators. These mortgage tools help you to determine how much money you can borrow, calculate mortgage payments and interest savings and compare amortization periods. You’ll find all the information you need on the mortgage products we offer at the best Whitby Mortgage rates available. Our experienced mortgage agents are ready with advice for all your financial needs. Contact us Today. We’re your Mortgage Brokers in Whitby! Categories: Mortgage Brokers, Town and Cities in Durham Region, Uncategorized, Your Home | Tags: Durham, Lake Ontario, mimortgage, mimortgage team, Mortgage Brokers Whitby, Mortgage Intelligence Whitby, Peter Perry, Trafalgar Castle School, Whitby, Whitby Harbor, Whitby Mortgage Brokers, Whitby Mortgages | Permalink. Expect Further Tightening of Guidelines For The Self-Employed. Self Employed lending has always created a balancing act for the borrower. While trying to save on income taxes, deductions that decrease taxable income can now stand in the way of a mortgage approval.Our industry expects to see further tightening in this area in the months to come. It is expected that all three Insurers in Canada, CMHC, Genworth and Canada Guaranty will further restrict the lending capacity of lenders such as credit unions and specialty lenders. This may force more Self-employed individuals to seek out other options. 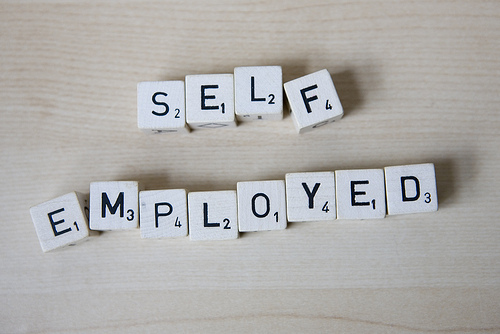 What can you do if you are Self-Employed? Mortgage Brokers have always provided borrowers with the widest number of lenders and the lowest rates. Here at Mortgage Intelligence we have relationships with over 50 National and Private sources for mortgages. We can be your best asset when you require a mortgage. Experience counts as well. For over 14 years our office has been a primary source of approvals for those that are Self-Employed. Why not make the choice and let us help. This is a good time for you to get some advice if there is a possibility that you will need a mortgage in the foreseeable future. You may be able to take advantage of the current situation before things change again. Contact us by using the form below or Apply online now. Categories: Industry News, money, Mortgage Brokers, Uncategorized | Tags: Canada, Canada Guaranty, CMHC, GEnworth, Low Rates, Mortgage, Mortgage Brokers, mortgage intelligence, New Mortgage Rules, Private LEnding, Self Employed, Self employed borrowers, Self Employed lending, taxable income | Permalink.